We’ve applied to the Aviva Community Fund for help in buying a new safety boat for The Den, which will allow us to run more activities on the water for the young people of 3rdCB and Old Leigh. Our aim is to get more young people afloat in Leigh-on-Sea, learning teamwork and Skills for Life. We’ve successfully got through the first round, and now we need your voted to secure funding from them. To support us, all you need to do is visit the link below, sign up (it’s free, only takes a minute, and you don’t end up on any mailing lists), then vote for us. You get 10 votes which you can spread around, or even better you can give them all to 3rdCB. Please share our project far and wide with your friends, family, co-workers and anyone else to get votes for us. Small things make a big difference and every one person you talk to gets 10 votes to cast towards helping us secure the funding from Aviva, increasing our chances of reaching the finals. Voting ends on 20 November, so please get signed up, vote for 3rdCB, then spread the word and get all your family and friends to do so as well. Cub Leader Kate Emery is doing the Three Peaks Challenge – climbing the three highest peaks in England Scotland and Wales: Snowdon, in Wales (1085m), Scafell Pike, in England (978m), and Ben Nevis, in Scotland (1345m). All this within 24 hours, raising money for 3rdCB and Glendale School! Join us for the Group’s annual Open Day for families and friends, Sunday 5 June from 1100 at The Den. Sailing, BBQ, refreshments, fun games & stalls all on offer. Please donate a bottle and/or any unwanted new gifts as prizes for our May Fair stalls. Whilst we are all enjoying the next bank holiday (Monday 30th May), the leaders, kids and a few parents will be trying to raise funds for all our children’s benefit. 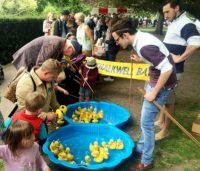 We would like to take a bumper tombola stall to the Leigh May Fair, as well as prizes for our other stalls, so anything you can donate will make a huge difference. Drop stuff at Den asap (pick up can be arranged for bulk donations!). A huge thank you in advance from the Parent Support Group. On Sunday 5th July at The Den is our Open Day and Annual General Meeting, starting at 12.00pm. The AGM is an important meeting where Leaders, members and parents agree on the Group reports, accounts and also where the Group Executive Committee members are elected, and we encourage all parents to come along and help shape our future. 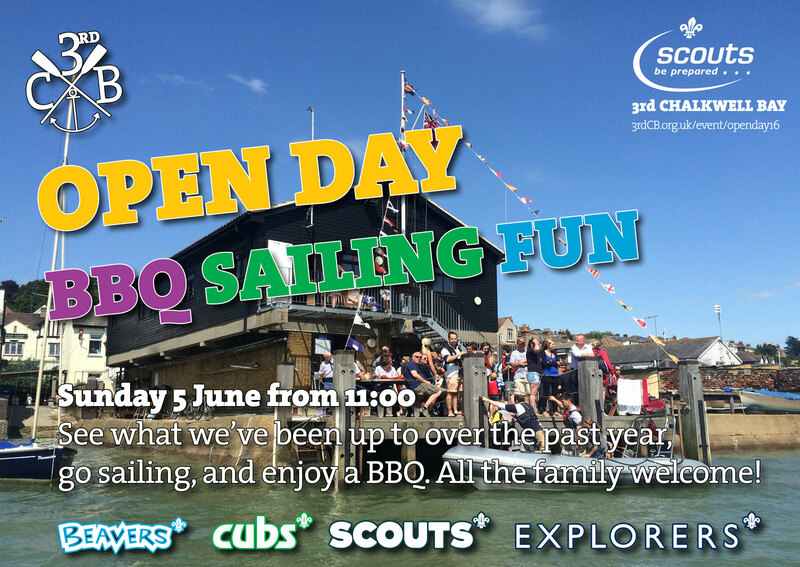 After this we’re going to get the BBQ lit, have a lot of fun stalls, games & activities for all the family, and put the Group’s fleet of boats out onto the water to give you a chance to try your hand at sailing (under supervision from our instructors of course). 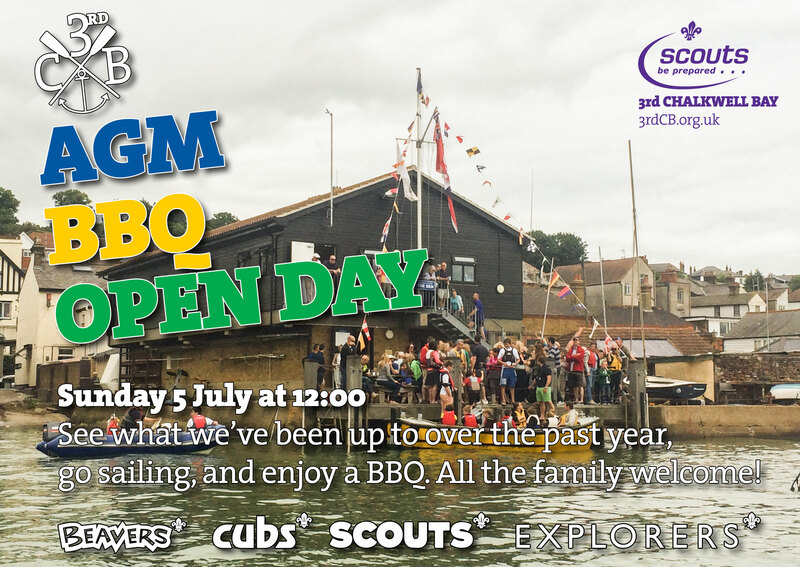 So come on down and have some fun, and see what the Beavers, Cubs, Scouts and Explorers have been up to over the past year. The 2015 Renewal of Promise & St. George’s Day Parade is taking place Sunday 26th April. Renewal of Promise is a big part of the scouting calendar, this is where all section members renewal their Scout promise each year along with all the other Scout Groups from the Southend West District. 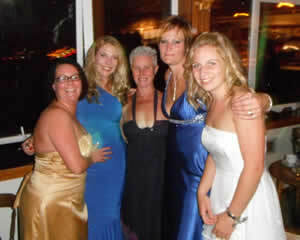 The Group’s inaugural Easter Ball is on Saturday 11th April on board HQS Wilton (Essex Yacht Club). All proceeds are in aid of the ongoing fundraising effort for Our Big Project – the expansion of The Den’s facilities and construction of a new boating centre. The black tie evening will start with canapés accompanied by music from the 3rdCB band, followed by a sumptuous 3 course meal in the lower saloon. After dinner there will be a raffle, charity auction and dancing until late.